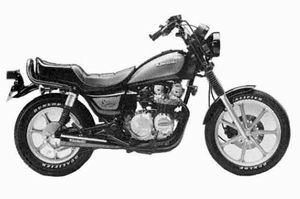 The Kawasaki KZ550F is a motorcycle produced by Kawasaki in 1983. American sports model. 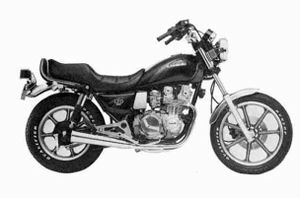 Shaft drive, front disc brake, rear drum brake, air adjustable front fork, air and damping force adjustable rear shock absorber. Changes: Color and graphic. Front fork, muffler. This page was last edited on 26 August 2010, at 18:21.